Over the years we’ve partnered with numerous nonprofits throughout the DC region, but few partners have sent as many materials through our doors as the National Association of the Remodeling Industry (NARI), a nonprofit trade association for builders and remodelers. With 50+ chapters nationwide, NARI has one overarching goal: to promote professionalism in the remodeling industry. Based on a code of ethics that promotes “remodeling done right,” the association provides education and certification for its members. According to Angela Hubbard, the Executive Director of NARI’s Metro DC Chapter, one of NARI’s fundamental beliefs is that everyone has the right to live in safe, comfortable homes. 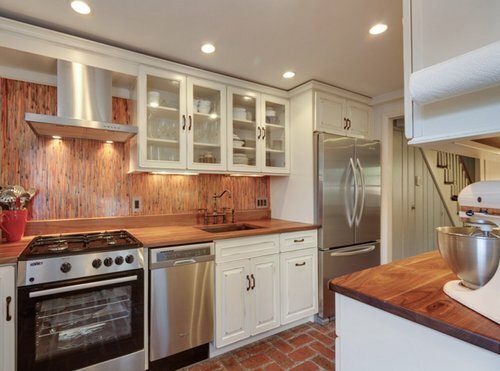 A local home remodeled by NARI Metro DC Chapter President Chris Dietz. For the better part of a decade, NARI members have referred their clients to us, helping to break the cycle of good, usable building materials being sent to the waste stream. DC Chapter President Chris Dietz, who started his company Dietz Development in 2005, originally became a NARI member because he wanted to strengthen his company by learning from the remodeling community. Having formerly worked in real estate, he entered the industry with no formal training, and wanted to network with, and learn from, the seasoned veterans. Working with NARI, Chris said, has taken his business to a different level, particularly in terms of ensuring that his clients are thoroughly informed of all aspects of a job. Among other things, NARI offers training on clear communication to facilitate mutual understanding and problem solving between contractors and their clients. Angela Hubbard (center left) and Chris Dietz (center right) at a NARI member event. 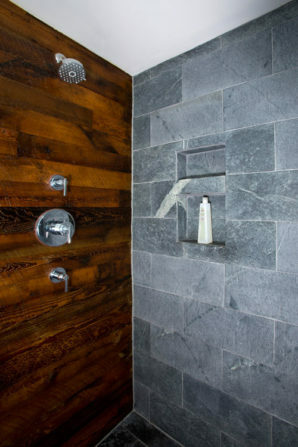 Detail of a Dietz Development bathroom remodel. 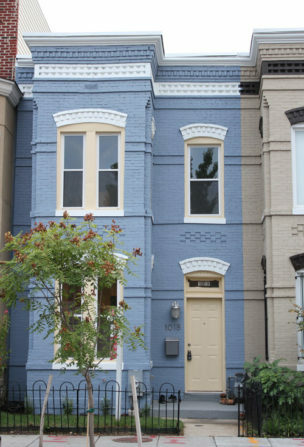 For remodelers who work on older homes in the DC region, finding doors identical to those in older federal homes without spending a fortune is “close to impossible,” Chris said. Salvaged building materials can be the only affordable way to match doors, windows, and other architectural elements to the right period. A convenient element of keeping salvaged building materials in local circulation is that architectural elements unique to an area can be reused with little modification. When a Capitol Hill home is being remodeled and someone accidentally sticks a 2-by-4 through a window pane, the contractor can come to Community Forklift and find a perfectly matched window sash—perhaps even one taken out of a prior remodel on the same street. Chris will “pull stuff out of one house and then maybe several months to a year later [he’ll] need the same item, [he just doesn’t] have the warehouse to store it.” That’s why Community Forklift is an important resource for him. One of NARI’s primary areas of focus right now is workforce development. 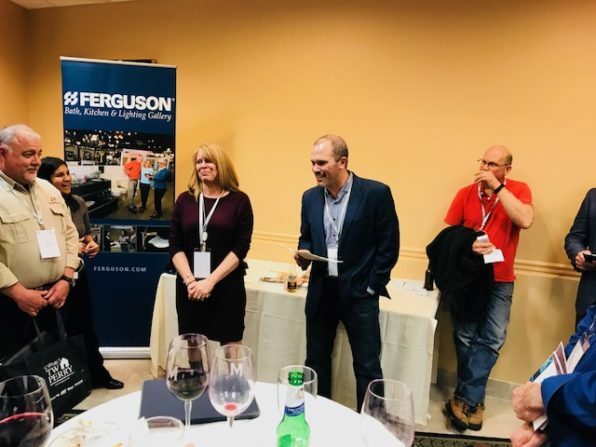 In separate conversations, Chris and Angela both echoed the nonprofit’s goal to highlight remodeling as a viable career choice for youth who are being told that college is the only way to be successful. Angela attributed a current shortage of trade workers to a push in the 1970s for everyone to go to college. “Not that college is a bad thing, but it’s not meant for everyone – we still need people to work on the nuts and bolts of the buildings we all live and work in, and who know how to do that professionally, ethically, responsibly.” The folks at NARI know that every community needs tradespeople who know how to repair and construct the places we call home. And in an ideal world, those same individuals would be invested in making choices that ensure the safety of themselves, their clients, and our shared environment. NARI offers training and certification to members for various subjects. 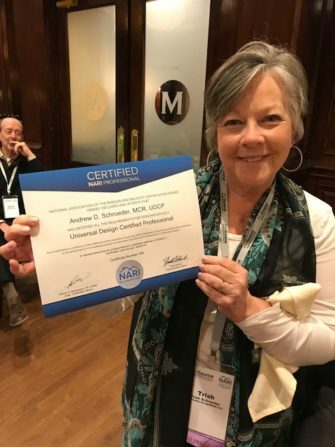 When asked if the remodeling industry seems to be trending towards green ways of thinking and operating, Angela responded “Oh my goodness, yes.” There is a huge focus among members on renewable resources, and NARI offers a certification for green professionals. One of their ongoing programs called “living in place” aims to make homes more accessible and liveable, so that folks can stay in their homes for longer, and the same family can stay in place for generations. In addition to providing more homeowner stability, this sort of program alleviates some of the demand for extraction of nonrenewable materials to construct new buildings. A Dietz Development kitchen remodel. 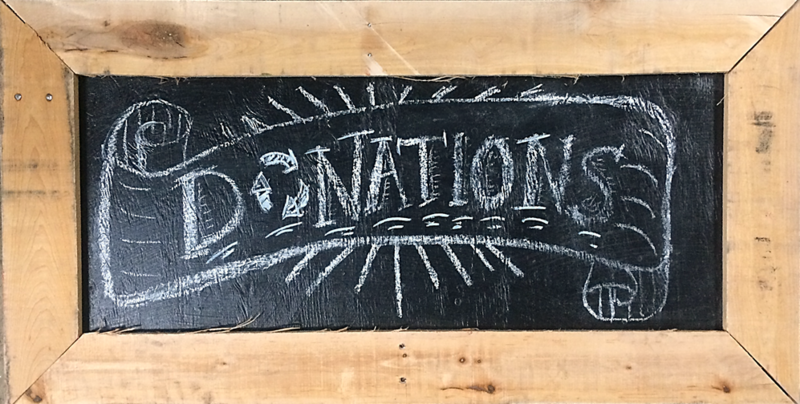 We are incredibly grateful that so many NARI members are willing to take the time and initiative to support us, either by encouraging their clients to donate, or by doing so themselves. It’s always more fun to work alongside folks who share your values, and NARI’s demonstrated support of the small, independently-owned remodeling business reflects our own goal of strengthening community prosperity through reuse. We’re excited to see where our partnership will go!